Are you experiencing EMR dissatisfaction with your current system? Perhaps it's not living up to your expectations, or you're having issues with it that make charting more difficult. Many physicians are finding that their EMR is not as impressive as they thought it would be. If you're feeling that way, it might be time to take a closer look at your EHR system and try to figure out what you need to do to improve it. One of the most common complaints that fuels EMR dissatisfaction is having to pay so much attention to the computer, and paying less attention to the patient. This often occurs because of a lack of training, or improper use of the system. Medical practices are very busy places, with patients constantly going in and out. Closing the practice for a day or two to offer complete training on the EMR system might sound like a difficult and even crazy idea, however in the long run, it will save you time and money. It will also allow you to spend more time face to face with your patients. The world of EMR is constantly evolving. As new products become available, they make changes to their system. If you have a specialty practice, and those changes don't involve the tools you're currently using in your EMR, you can end up feeling left behind with sub-par products. If your EMR vendor doesn't seem to be concerned over your issues, or in updating the tools you are currently using, it might be time to find a new vendor who specializes in EMR within your medical specialty. All practices, especially ones that have been established a long time, operate under a certain workflow. Because medical records are the heart of the practice, making changes to the system often causes EMR dissatisfaction. For instance, if your practice once used the paper chart as an indicator of what needed to happen within the exam room, the lack of a paper chart can (at least mentally) throw you off. The solution to this problem might be more efficient integration, and adjusting your EMR to work with the flow that you feel most comfortable with. A professional representative from your EMR vendor should be able to help you resolve the issues. One source of EMR dissatisfaction is a lack of a system that integrates seamlessly with other programs frequently used by the practice. Poor integration, or none at all can cause a lot of problems for you and for your staff. For example, if you've been asking for a way to integrate your EMR with your practice management software with no solution in sight, you want to consider an integrated EMR/PM solution that encompasses both. It's possible that one of the reasons you implemented EMR in the first place was because of the incentives that were offered to you for meaningful use. Ongoing training is an absolute necessity, especially with all of the updates EMR's are consistently undergoing. Your vendor should be providing you with opportunities for training at every stage of the EMR implementation period and beyond. Their goal should be to assist you in meeting your goals, and with new EMR requirements on the way in 2014, your vendor should be prepared ahead of time to help you receive your incentives. 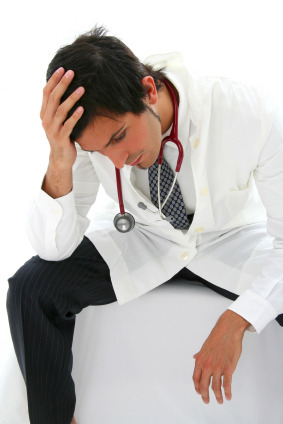 Are you experiencing EMR dissatisfaction? We'd like to help you. Contact us today to find out how our integrated EMR/PM systems could make your practice more efficient, more profitable, and less of a headache.